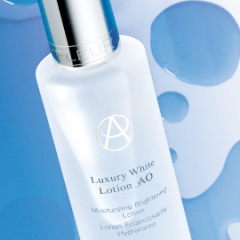 Different from a normal lotion, this whitening exclusive gives richness feeling on your skin. With everyday use, you can feel the superb brightening effect difference! Discover the esthetic whitening lotion providing an even skin complexion with 100x power effective safe skin whitening! No more harmful effects caused by the sun while maintaining a healthy, attractive, lightened, radiant and beautiful fairer skin! 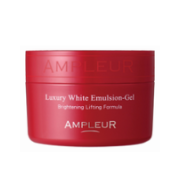 Dont miss the chance to get the increased level brightening effect of AMPLEUR WHITENING LOTION AO! 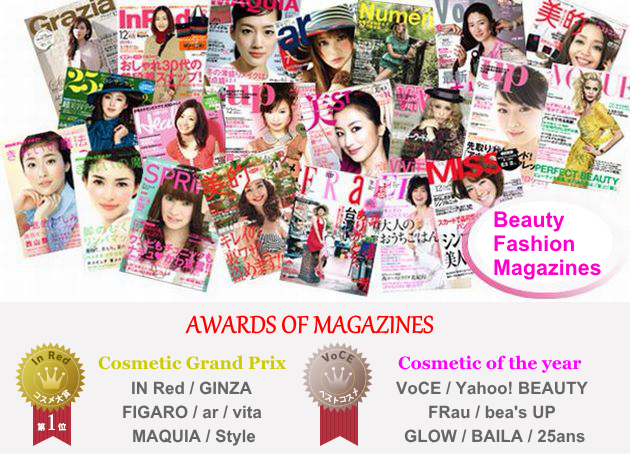 "Hydroquinone" "Amino acid" "Ceramido" brightening effect skin care components contained! 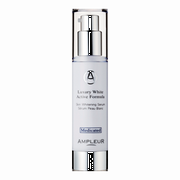 Increasing up the skin brightening effect power result! 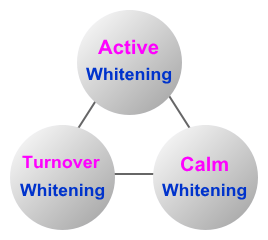 The Triple Effect Whitening has been an esthetic idea to decrease melanin causing skin stain,maintaning a skin stain-free, leaving it a turnover effect to a skin-trouble-free skin! After washing, put about a 500yen-sized of lotion on hands. Tap gently on the whole face and hold for 5 secs. Use everynight. List Price 5,250yen → 30% Commemorative Discount!